This review was originally posted and featured on United by Pop’s website. Unblemished invites readers to not only question the world they live in, but also look beyond it. What’s on the other side of your reflection? Is there more here than meets the eye? Eliyana is a timid character in Unblemished who finds solace in hiding behind the scenes or out of the way, so she’s shocked when her mother and friend, Joshua, are hiding entire worlds from her where the one thing that makes her shy, could just make her stand out and become the savior they all need. 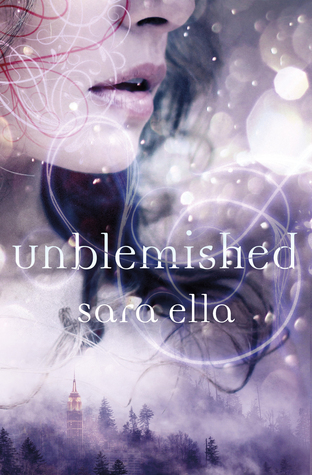 While Unblemished has extraordinary world building and vivid imagery, the relationship between characters felt, at times, stilted. Due to Eliyana’s shy demeanor, it’s sometimes hard to relate to her, though she does develop throughout the story and stands on her own eventually. Her relationship with Joshua also gives readers someone to care for, and hold their breath each time both of them are in a perilous situation. The pacing does speed by at a hundred miles an hour at times, others it slows down to show a more real side of life, and how Eliyana must overcome her greatest fear, to become fearsome, herself.